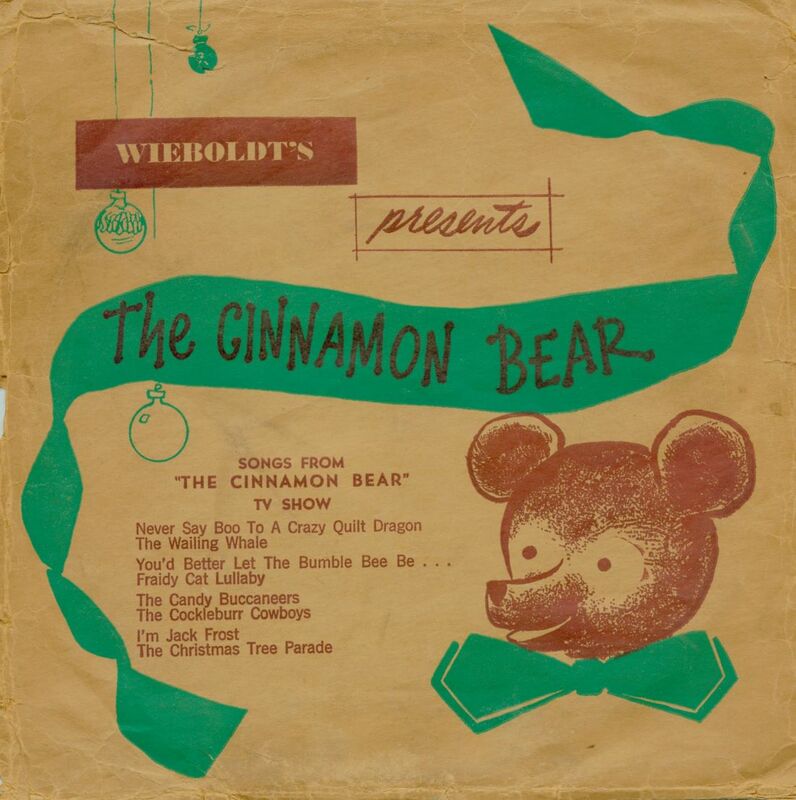 To put it simply, "The Cinnamon Bear" is great radio entertainment. Excellent sound effects, charming background music, clever songs, well-drawn characters, sparkling dialogue -- they're all here in a blend of the very best talents and techniques from the golden age of radio. Here, fantasy and imagination reign as Paddy O'Cinnamon and his company cross a landscape featuring a singing tree, a looking glass valley, an icicle forest, a root beer ocean, an immense inkwell, a river of mud, a golden grove, and a multitude of other bizarre places and strange talking creatures. Familiar vocal artists - some of whom would later become radio legends - provide the voices: Elliott Lewis, Hanley Stafford, Verna Felton, Frank Nelson, Martha Wentworth, Howard McNear, Joseph Kearns, Ed Max, Gale Gordon, Elvia Allman, and many others. For some of these performers, it was their first enduring assignment on their way to radio celebrity in the years to come. Even today, radio stations in Portland and other parts of the country continue to air the series during each holiday season -- although now as more a novelty than as advertising gimmick. Seventy years after the programs were produced, the series continues to win new fans with its enduring quality, charm, and timeless storybook characters. Some of these fans have, in fact, made it a point to research and publicize the series to others; Don Jensen and, later, Carolyn Kolibaba published a newsletter entitled "Bear Facts" from 1987 to 1991. Finding that their research had increased interest in "The Cinnamon Bear," they founded "The Cinnamon Bear Brigade," which in 1991 boasted four hundred members worldwide. 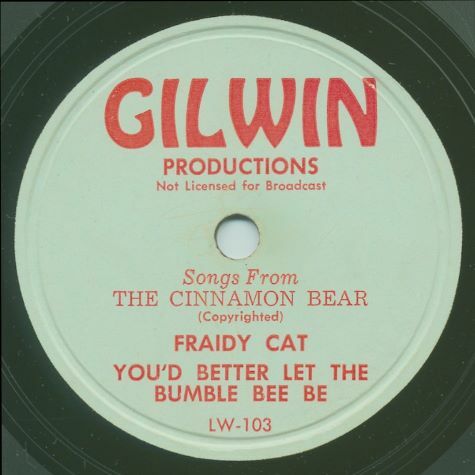 Like many radio programs, "The Cinnamon Bear" series did not give on-air credit to the performers who brought the shows to life. Although some of the voices are obvious and well known - at least to fans of old time radio - much of the work necessary to identify the performers was done by collector Terry Black with help from actor Frank Nelson and series announcer Bud Hiestand. The full cast listing was first acknowledged in Chuck Schaden's "The Cinnamon Bear Book" (Hall Closet Publications, 1987) - the only book yet written entirely about the series. Larry and John Gassman of the Southern California-based SPERDVAC ("The Society for the Preservation and Encouragement of Radio Drama, Variety, and Comedy") cleared up the mystery of who played Queen Melissa -- an actress unidentified until just a few years ago. However, despite the best efforts of many fans over the years, the name of the young actor who played Jimmy Barton remains to be discovered. Many of the actors doubled in other roles as well. For example, Gale Gordon also played the Ostrich, and Howard McNear appeared as Slim Pickins, the Cowboy. Ted Osborne played Professor Whiz, the Owl, and Cy Kendall provided the voice for Captain Taffy, the Pirate. Director Lindsay MacHarrie voiced some minor roles too, including Wesley the Whale, and the Grand Wonkey, among other characters. In addition to a notable cast of performers, "The Cinnamon Bear" features eleven songs written specifically for the show, including "Never Say Boo to a Crazy Quilt Dragon," "You'd Better Let the Bumble Bee Be," "The Candy Buccaneers," "The Cockleburr Cowboys," and "The Christmas Tree Parade." Composer Don Honrath wrote the songs and incidental music, with Felix Mills handling the musical direction and the Paul Taylor Quartet singing the lyrics. A few years ago, the original 1937 promotional disc for "The Cinnamon Bear" series surfaced, providing a unique glimpse into how the series came to be -- and also how it was promoted. 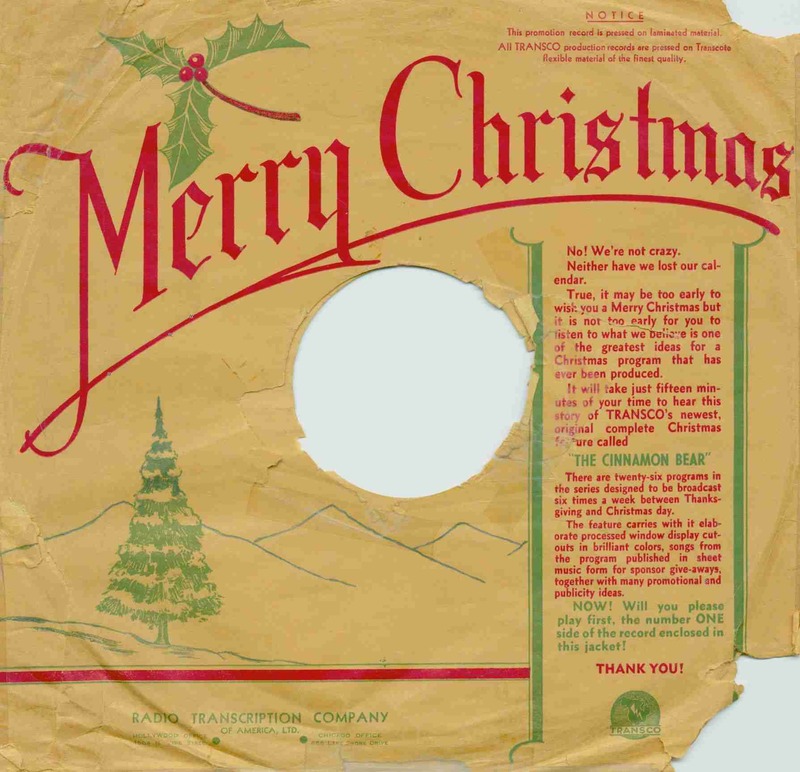 Direct mailed to radio stations, advertising agencies, and potential sponsors, the 12" disc - complete with specially created illustrated labels and sent in a festive paper sleeve with "Merry Christmas" emblazoned in red across the top - was TRANSCO's effort to provide the broadcast marketplace with a program series designed for "pre-Christmas running." In this sixteen minute two-sided recording, the program's narrator and announcer John "Bud" Hiestand (Elizabeth Heisch's brother) introduces and interviews Lindsay MacHarrie, TRANSCO's production manager and the producer of the series. MacHarrie says he bumped into Glan Heisch one day on Hollywood Boulevard and invited him to lunch. He told Glan that he wanted a Christmas series "with all the charm and whimsy of the OZ books and 'Alice in Wonderland.'" MacHarrie told Heisch he desired a series of twenty-six fifteen-minute programs, designed to run from Thanksgiving to Christmas. Glan agreed that Santa Claus must play an important role in the series and that it should have a "growing Christmas feeling" as it approached Christmas Day. Agreeing to the project, Glan and his wife wrote the show quickly and the rest, of course, is history. This "audition disc" runs approximately eight minutes on each side, with side two featuring a synopsis of the story spoken by Judy, Jimmy, and a cranky Cinnamon Bear. By the early 1950s, television had made considerable inroads into the broadcast markets formerly dominated by radio and retail advertisers began devoting more and more of their promotional dollars towards it. Recognizing the long-demonstrated ability of "The Cinnamon Bear" to attract children and their gift-buying parents to local department stores, a Chicago-based television station decided to produce a puppet version of the series. Apparently using the original radio recordings as a soundtrack, this visual representation of the series was sponsored by Wieboldt's Department Stores. Very little is known about this production of the series - the programs were not known to have been recorded and no kinescopes seem to have survived - but evidence of it exists in a series of four 7" 78 RPM records containing the songs from the show, sold by Wieboldt's as a promotional item. These recordings offer an interesting audio footnote to the series, as the songs on these discs were not simply extracted from the radio series but, instead, transferred from the original 1937 music and vocal recordings made prior to the recording of the dialogue for individual episodes. 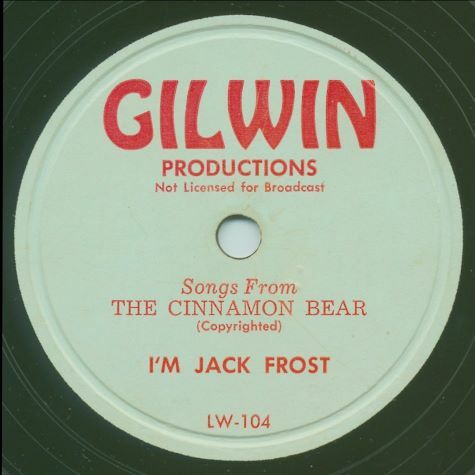 Thus, we get the chance to hear the songs without any lead-in or mid-song dialogue - providing us for the first time with an "Original Cast Album" for "The Cinnamon Bear." The songs - nine in all - are included here in restored digital transfers from an original set of 78s, released by Gilwin Productions. 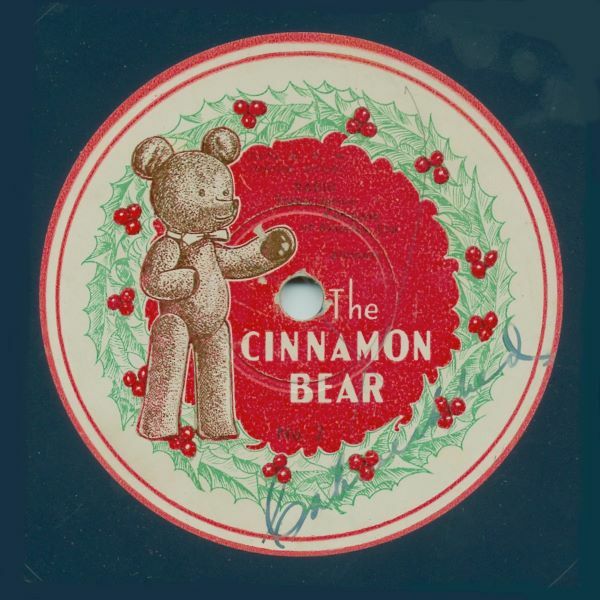 The twenty-six programs in "The Cinnamon Bear" series were first heard in 1937. During that initial year of syndication, the fifteen-minute installments were to be programmed six times a week - from November 26th through December 25th. Distributed on then-standard sixteen-inch vinyl transcription discs, musical interludes during the opening and closing portions of the shows were included to allow insertion of commercials by subscriber radio stations. So far as it is known, the individual episodes were not titled; Radio Archives takes responsibility for the titles listed here. In their attic while looking for Christmas decorations, Judy and Jimmy meet the Cinnamon Bear. They learn that the Crazy Quilt dragon has stolen their tree-topper, a gleaming silver star. Paddy O'Cinnamon ("The Cinnamon Bear") invites them to go after Crazy Quilt. Flying though a hole in their attic in a glass airplane fueled by soda pop, Judy, Jimmy, and Paddy head for Maybeland but are stranded at the bottom of Looking Glass Valley by a stork who maliciously drinks all the plane's fuel. Conscience stricken, the stork returns to the hapless trio and flies them out of the valley. They locate a sleeping Crazy Quilt with the silver star at the tip of his nose. 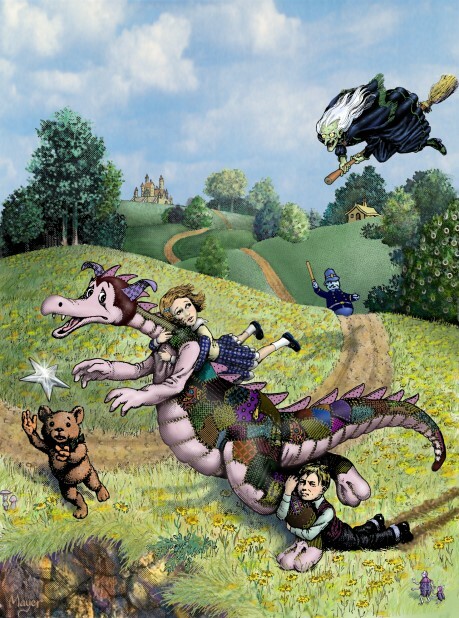 Paddy awakens the dragon and a scared Crazy Quilt drops the star into the Root Beer Ocean. Judy, Jimmy, and Paddy are captured by strange creatures called Inkaboos as Crazy Quilt escapes by jumping into the Root Bear Ocean. The twins and Paddy are taken to a vat of ink and threatened with immediate execution. Crazy Quilt and a band of scissor soldiers rescue the prisoners. Crazy Quilt, Paddy, Judy, and Jimmy escape to the Root Beer Ocean. They see the star bobbing on the surface. Just as they are about to grab it, a whale swallows it whole. After the whale sneezes up the star, Samuel - a playful seal - starts juggling it when a wandering pelican named Penelope snatches it in midair. Presto the Magician appears after the travelers once again arrive on dry land. Using magic, Presto locates Penelope and causes her to drop the star on the Island of Obie. 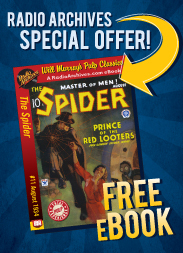 Crazy Quilt, Paddy, and the Barton twins locate an old treasure chest. They suddenly find themselves surrounded by pirates. The pirates take Judy, Jimmy, and Paddy to their ship, leaving Crazy Quilt behind. The pirates were only looking for candy and agree to take their new passengers to the Island of Obie. On the Island of Obie, Paddy and the twins catch up with the Roly Poly Policeman, whom they had spotted wearing the silver star. Crazy Quilt, who arrived ahead of them, had tricked the policeman into giving him the star. As they start out after Crazy Quilt, a strange force causes Paddy to vanish. Paddy reappears. Finally they are all together. They enter a witch's house and walk right through a picture frame into a forest. There they meet Fraidy Cat and begin to tremble as a huge giant comes toward them. The giant is a gentle soul and helps Paddy and Judy and Jimmy find food. He gives them a whistle so they can summon him if danger appears. Suddenly, the forest becomes dark and two yellow lights start flashing, looking just like eyes. The lights turn out to be Crazy Quilt's eyes. He explains that some strange force told him to take the silver star to the house where it then disappeared into the forest picture. While walking, the group meet a rhyming rabbit, a bee stings Paddy, and the group becomes terribly lost. They give the Giant's whistle to Crazy Quilt and he accidentally swallows it. The Giant has heard the whistle as Crazy Quilt was hiccupping and takes the whole group back to the house. Paddy, Judy, Jimmy, and Crazy Quilt step through the picture frame into the clutches of Wintergreen the Witch. She seals the door and picture, trapping them. They ingeniously escape the witch and retrieve the star. Crazy Quilt takes them back to the mainland and he accidentally sits on the star, breaking it into a dozen pieces. Crazy Quilt suggests they all go see Queen Melissa of Maybeland who might be able to repair the star. When they reach her, Melissa gives them instructions, requesting their undivided attention. Queen Melissa writes down repair instructions in magic ink, sealing them in an envelope. She directs Paddy, Jimmy and Judy, and Crazy Quilt to read the instructions in total darkness. The quartet heads for the Wishing Woods, which is known to be quite dark. There they meet a crocodile that swallows the envelope. The crocodile is friendly and reads the instructions in his stomach after digesting them. The foursome is instructed to head for the Wishing Well, which Judy guesses is where they have to wish that the star be fixed. Arriving at the well, Paddy peers into it, loses his footing, and falls headlong to its deep, dark bottom. The twins and Crazy Quilt note instructions on the well that they have only one wish. They use it to rescue Paddy. Heading back to Queen Melissa, they are pelted with mud and trapped in oozy, slimy mud by strange creatures called muddlers. They slowly sink. A group of cowboys ride up and save the foursome. The leader of the cowboys brings Melissa into focus through a looking glass placed in his hat. She hears of the troubles experienced by Paddy, Crazy Quilt, and the children. She tells them to locate a singing tree. They leave the cowboys to search and are surrounded by Indians. The searchers run into a cactus forest as they are chased by Indians. Actually, only one Indian had been in pursuit but Paddy, Crazy Quilt, and the Barton's' imaginations conjured up many, many more. They bribe the Indian into letting them go and continue the search for the Singing Tree. Suddenly, the Wintergreen Witch appears and threatens to turn them all into bullfrogs. Wintergreen demands the star pieces, but her evil magic doesn't work. She threatens to destroy the shattered star. Queen Melissa's assistant arrives, arrests Wintergreen "for practicing magic without a license" and hauls her off to Looking Glass Valley, where she will spend the rest of her days staring at her hideous self. The relieved travelers, star pieces again in hand, lay down under a tree and are lulled to sleep by beautiful singing. They have discovered the Singing Tree. When they awake, they see a big hat with a door -- and, pinned to the opening, is a note! The group enters the hat, which flies them to the Land of Ice and Snow. When they arrive they are taken to see Santa Claus! Santa warmly receives Paddy, Crazy Quilt, and the Barton twins. Crazy Quilt stays behind, as Santa takes Paddy and the twins to the home of Jack Frost who will repair the star. Jack puts magic snow cement on the star and the pieces fit back together again. After he puts it on his windowsill to harden, the star is stolen. Jack Frost observes the Bad Dolls - a group of mean-spirited dolls made with bad sawdust - running off with the silver star. Santa sends out the Tin Soldiers and invites Paddy, Judy, and Jimmy to the big storeroom where they reunite with Crazy Quilt. Eventually, Santa receives word that the soldiers need reinforcements because some hideous green creature is leading the Bad Dolls. Santa tells the twins not to worry and gives everybody a train ride. While riding on the train, they see all the toys. Eventually Santa is informed that the Captain of the Tin Soldiers is waiting in his office with the silver star in hand. His troops have defeated the enemy! With the silver star now safe, and the Wintergreen Witch turned into a wreath, Santa offers to take Judy, Jimmy, Paddy, and Crazy Quilt back to the attic, but Crazy Quilt wants to remain in the snow country. As the group climbs into Santa's sleigh, Jimmy hands Crazy Quilt the silver star for just a minute - and, true to his nature, Crazy Quilt dashes off with it. Santa, Paddy, Judy, and Jimmy pursue Crazy Quilt to the North Pole. As Crazy Quilt begins to climb the Pole, the group scares him. When he falls down, they recover the star and the twins find themselves magically back in their attic with their mother shaking them out of a sleep. When they finally place the star on top of the tree, Judy and Jimmy wonder if it has all been a dream. Then they hear the Cinnamon Bear's song one more time. "The Cinnamon Bear" is, arguably, the best holiday series ever developed for radio. Containing all of the elements of a classic children's fantasy, combined with radio's unique ability to create vivid mental images in the minds of its listeners, it continues to delight both young and old. 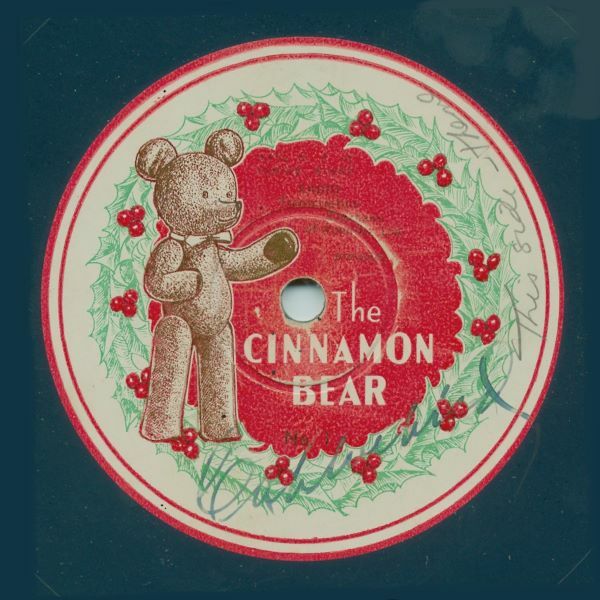 And now, for the first time, you can hear and enjoy "The Complete Cinnamon Bear" -- including all twenty-six original and unedited shows, the original 1937 promotional recording, and all of the songs from the series as transferred from an original set of 78 RPM recordings. Each of the programs has been digitally transferred directly from a set of original 16" broadcast transcriptions and painstakingly restored for outstanding audio fidelity - truly the best-sounding version of the series that has ever been released. It's yet another triumph for Paddy and his band of travelers as, after well over seventy years, they once again carry on their magical search for the silver star. In the late 1920s, Freeman Gosden and Charles Correll began distributing their popular "Amos 'n' Andy" series of radio programs via a process they called a "chainless chain" - the practice of prerecording shows for upcoming weeks, then pressing the recordings onto 78-RPM 12" shellac discs and sending them all over the country for broadcast on local stations. In an era when phone lines could be notoriously unreliable - not to mention exceedingly expensive - this allowed each and every episode of "Amos 'n' Andy" to be heard on stations nationwide on the same day and at the same time. Even Gosden and Correll's live broadcasts of the shows, emanating from WGN Chicago, were timed to coincide with the recorded broadcasts. This simple but effective method of distribution allowed "Amos 'n' Andy" to become to single most popular show in the country - and it also resulted in the sale of millions of new radio sets, as the "Amos 'n' Andy" craze quickly spread throughout the nation. In addition to selling radios, filling the coffers of radio stations, and putting more than a few bucks into the pockets of Gosden and Correll, the success of their "chainless chain" caused a lot of radio people to sit up and take notice - particularly those who spent their days trying to talk clients into spending their money on radio advertising. The reasoning was simple: radio was a gaping maw, a time sink, a force that constantly consumed as much comedy, drama, music, news, and other programming as could be created for it -- and was always demanding more. Even the smallest of stations had a need for enough programming to fill anywhere from four to twenty-four hours each and every day, usually seven days a week. It was clear that the tenors, sopranos, piano soloists, farm reports, and orchestral concerts that filled the schedules of stations earlier in the decade would not be sufficient or competitive enough to meet the demands of this new era -- especially with network radio shows getting better every day. Using the "Amos 'n' Andy" system of prerecording shows, then selling them on a subscription basis to local stations, syndicators began creating programs of all types with the sole purpose of selling them to as many stations in as many broadcast markets as possible. Thanks to the improvements in recording technology that had been developed when the movies converted to sound, it was now possible to prerecord shows of any length onto 12" or 16" records, revolving at 33 1/3-RPM, and "bicycle" them from station to station. By any standards, the fidelity of the recordings was more than acceptable, giving the listener at home the same enjoyable listening experience - and the same high quality entertainment - as they would receive from any big-time network show. And, best of all, once a station contracted to air a particular series, they could turn around and contract with local advertisers to sponsor the show -- and keep the after-cost profits for themselves. Thus, a department store in Peoria could afford to sponsor a high-class musical show and a local station without a network affiliation could present programming just as impressive as its network rivals -- and both could make a profit in the process. Not surprisingly, syndication soon became big business - and, in April of 1931, a company destined to become one of the biggest producers in the industry opened for business. The Radio Transcription Company of America, Ltd., based at 1509 North Vine Street in Hollywood, entered the market by specializing in the production of recorded programming "in the Hollywood style." Using the smooth and sophisticated style of Los Angeles-based radio stations as their role model, TRANSCO specialized in musical "band remote" programs by the likes of Tom Coakley, Anson Weeks, Phil Harris, Gus Arnheim and Jimmy Grier - popular West Coast bandleaders who quickly found their fame increasing with their regular radio appearances. These shows were an immediate hit, bringing some of the style and glamour of the movie colony into homes all over the country. It helped, of course, that these programs offered some of the best-recorded syndicated material on the market. Leasing the studios of Freeman-Lang for their recording sessions, these early shows were designed to give the listener the impression that they were hearing a band, live and in person, playing for dancing at a posh nightspot like the Peacock Court of the Mark Hopkins Hotel or the famed Cocoanut Grove at the Ambassador Hotel. Sponsors were thrilled with the opportunity to be associated with such high-quality product and TRANSCO was on its way. In 1932, TRANSCO began to diversify, presenting a wide range of recorded comedy, variety, and dramatic programs to supplement their ongoing musical shows. Among the productions in these early years were human interest shows like "Strange Adventures in Strange Lands," nondenominational religious programs like "The Country Church Of Hollywood," light collegiate musical comedy fare such as "The Calibama Co-eds," and "The Laff Parade," a fifteen-minute variety show with host Ken Niles that was a virtual carbon copy of similar shows heard weekly on the networks. TRANSCO even produced a multi-part adaptation of James Fennimore Cooper's "The Deerslayer" and an old west musical/adventure program titled "Pinto Pete in Arizona." From the start, and throughout its history, TRANSCO was simply a production and sales company. They owned no studios of their own - their Hollywood and Chicago offices were simply distribution facilities - and the pressing of the discs themselves was generally done by the American Record Corporation's Hollywood plant, which was Columbia Records former West Coast factory. 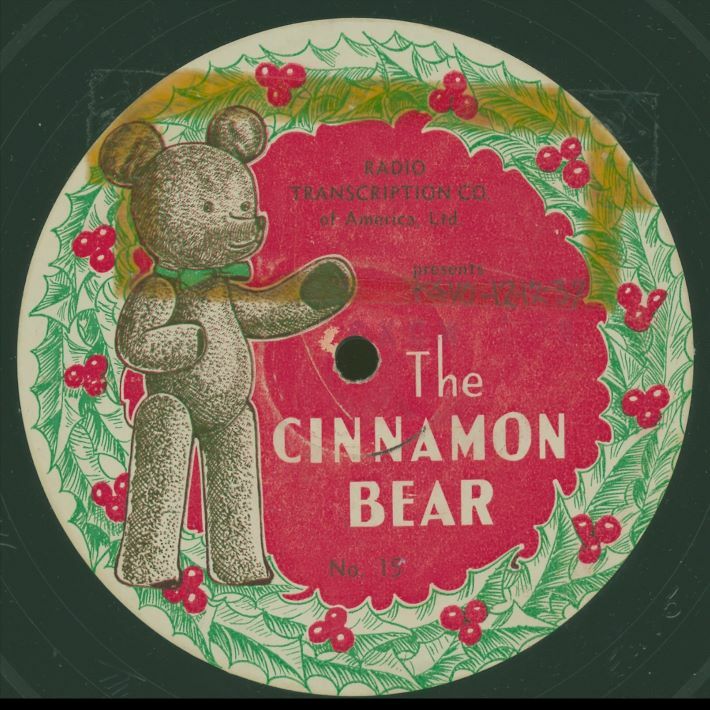 By the time "The Cinnamon Bear" was recorded, TRANSCO was renting recording time at Radio Recorders, one of the newer studios that was quickly becoming known for its outstanding technical staff. The decision to produce "The Cinnamon Bear" was a good one. Most of the recorded programs produced by syndicators would be aired only once at any given station, after which the programs might be sold to a succession of smaller and smaller stations and eventually consigned to the vaults. 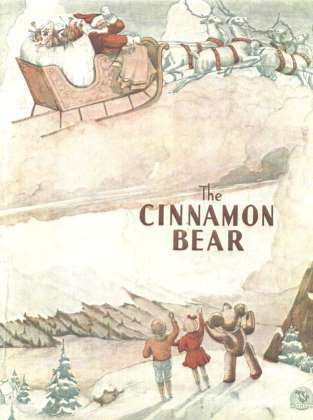 A seasonal, limited-run series like "The Cinnamon Bear," however, allowed a station to establish a tradition: a series around which a department store could build a promotion that could be repeated year after year - clearly a brilliant move on the part of TRANSCO. But, alas, the success of "The Cinnamon Bear" wasn't enough to save the company. By the early 1940s, there was a serious glut of syndicated programming on the market. Even networks like NBC had got into the business, pressuring its affiliates to carry its own syndicated programming just as they broadcast their live network shows. Whether this caused a downturn in TRANSCO's fortunes, or if they simply chose to close their doors and explore other pursuits, we just don't know. But what we do know is that, by 1942, all of TRANSCO's programming - thousands of hours of prerecorded shows in a warehouse full of 16" shellac and vinyl discs - was sold to Broadcasters Program Syndicate, under the direction of Bruce Eells & Associates, Hollywood. Broadcasters Program Syndicate, under what they called their "Cooperative Syndication Plan," proceeded to re-release much of TRANSCO's product to a series of progressively smaller stations at cut-rate prices. For the most part, no new copies of the discs were made; Eells' company simply glued new labels onto the original TRANSCO/ARC pressings and "bicycled" them from station to station, meaning that the increasingly dated shows also grew increasingly worn out. Distribution of TRANSCO product continued into the 1950s, meaning that some small town listeners were actually hearing shows that were fifteen to twenty years old. Given the tremendous advances in radio production techniques, not to mention changing public tastes in music and entertainment, it's hard to imagine someone in 1952 believing they were hearing a live band remote from the Cocoanut Grove in Hollywood -- especially when Gus Arnheim played "Brother, Can You Spare a Dime?" By the end of the decade, most of the TRANSCO product was simply played out. Television had long established itself as the dominant medium and, aside from a few stations that still ran "The Cinnamon Bear" out of sheer tradition, programs produced by the once-mighty Radio Transcription Company of America, Ltd. were heard no more. Now, let's fast forward thirty-five years or so. It's 1977 and "The Cinnamon Bear" has largely been consigned to memory, though there are old time radio enthusiasts who have come across copies of the discs, transferred them to tape, and traded them with others. In a large building in Toronto, Ontario, Canada, the former recording library of G. N. MacKenzie is being housed in a variety of closets and rooms and basements. MacKenzie, along with S. W. Caldwell, had been the two halves of All-Canada, Ltd., one of the country's largest syndication conglomerates, and had originally contracted with TRANSCO to air "The Cinnamon Bear" throughout Canada as early as 1937. The building that housed the library of discs was also being used as the broadcast facility of two of Toronto's largest radio stations. Every time space was needed for something else, such as another studio or an office, someone would give a heads-up call to David Lennick. Lennick, who worked at one of the stations in the building, was a former CBC radio personality, record collector, and transfer technician - and, luckily, he had ample storage space and a truck at his disposal. 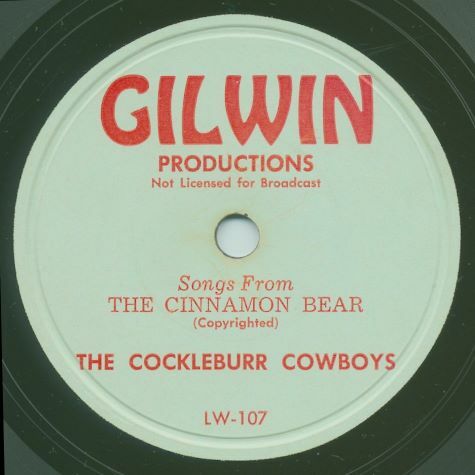 On August 16, 1977, Lennick responded to such a call - and among the piles of discs he loaded into the back of his pickup that day was three complete sets of "The Cinnamon Bear" plus two copies of the original audition program - one in its original promotional sleeve. As he finished loading, he got behind the wheel and turned on the radio to hear that, that day, Elvis Presley had died. An ironic commentary on fame and changing tastes in popular music. We fast forward again to early in 2004. David Lennick is now one of the most respected transfer technicians in the world, as well as a producer of a series of compact discs offering digitally restored versions of older recordings to new and enthusiastic audiences. Over the years, he's carefully stored the recordings for "The Cinnamon Bear" and, after negotiating with Radio Archives, he agrees to do fresh digital transfers of the discs. In the intervening years, he's also acquired a set of 78-RPM discs containing musical tracks from the series, which he agrees to share with the Archives as well. By this time, the 1995 cassette tape release of the series is out of print. Though of excellent quality for its time, technology has advanced tremendously, which allows Radio Archives to do a far better and more exacting job of restoring the audio for a new generation of listeners. First applying CEDAR processing - a state-of-the-art system which removes the majority of audio defects without compromising any of the quality of the original recording - Radio Archives proceeds to analyze the recordings and repair any remaining defects with the use of restoration software. All of the original fidelity is retained and no augmenting or "improvements" are made; what listeners will hear are 1937 recordings with all of the warmth and quality that the technicians of that era could apply. The resulting series, featured in this collection, is the product of our labors - and, especially, the talents of David Lennick and Tom Brown, the CEO of Radio Archives. 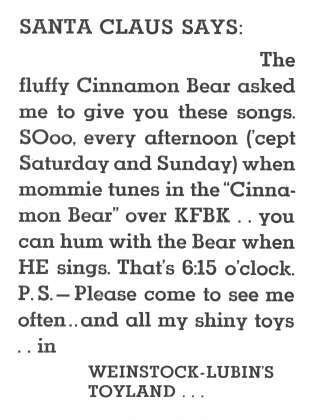 Without their work, "The Complete Cinnamon Bear" would not exist; it's thanks to them that "The Cinnamon Bear" can be heard and enjoyed by a whole new generation of listeners.